The theme is "Your Best of 2010"
It was not easy to choose an image but this particular evening, back in September, stuck out in my mind. So I decided to use this image from "The Perfect Storm" as my entry. The contest deadline is tonight if you are interested !! Do you have an image in mind as "Your Best of 2010" ? This is also the end of my second month posting to a daily gallery - it has been great!! And this image is proof of all the good stuff I have waiting in my folders. I look forward to the new year!! gorgeous! good luck with the contest! Happy New Year!!! 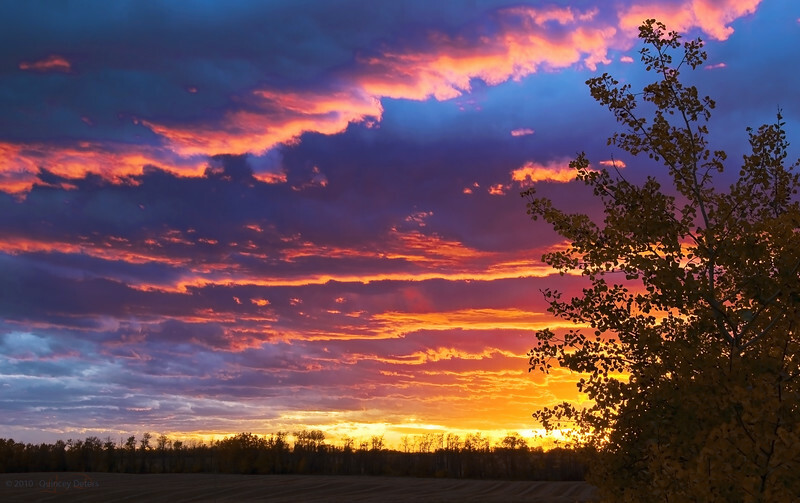 Gorgeous sky, so beautifully captured... excellent choice for your entry, good luck!